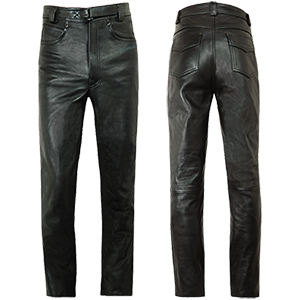 Leather jeans for REAL BIKERS. 1.3-1.4mm leather with a heavy grain and natural markings. Probably the only bike jeans you'll need to purchase ever again (waistline permitting ;-).